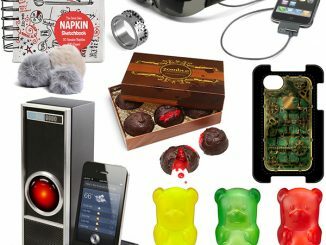 With the holiday season quickly approaching, you’re almost certain to have to do some traveling and I’m sure you‘re already buying gifts for loved ones. 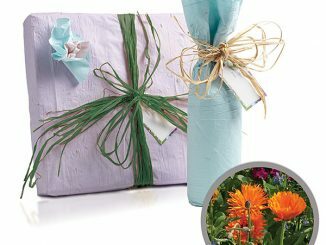 In between all that shopping for others, why not treat yourself to something that is going to come in very handy when you are dealing with long waits and looking for some alone time. 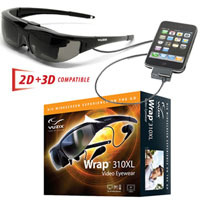 The Vuzix Wrap 310XL Video Eyewear allows you to enjoy your favorite videos and movies in privacy. 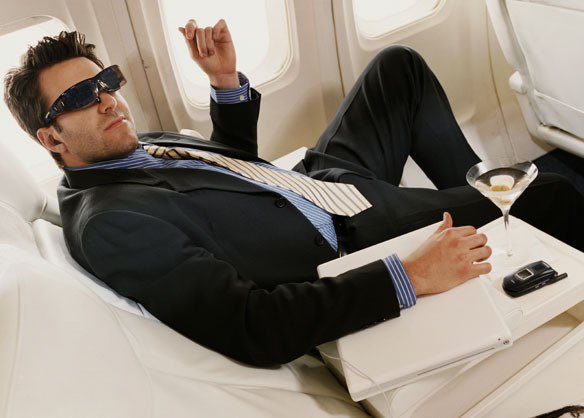 Slide on the stylish glasses and you can watch a movie from the comfort of your favorite chair, or while you are flying cross-country, all in a 16:9 widescreen format. 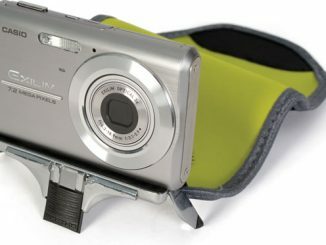 For those of you that love to personalize, feel free to change the lens color with the interchangeable optional lenses. The Vuzix Wrap 310XL offers you the performance and viewing pleasure of a home entertainment system with the convenience of portability. 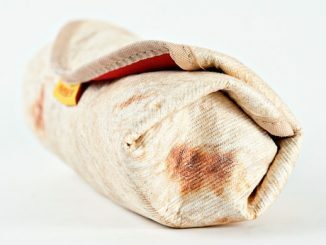 Could you image trying to lug around your 55 inch plasma TV? Well, now you don’t have to. The 310XL provides you with a virtual 55 inch screen that offers unmatched portable performance. Able to display both standard 4:3 and 16:9 aspect ratios and playing standard 2D and side-by-side format 3D movies, it has everyone covered. 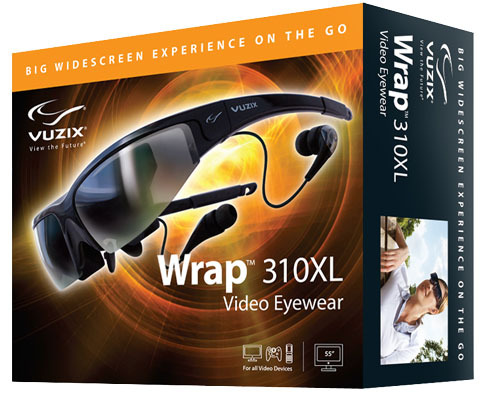 Out of the box, Vuzix Wrap 310XL widescreen eyewear connects to all NTSC or PAL audio/video devices with video-out capabilities and composite video connections. 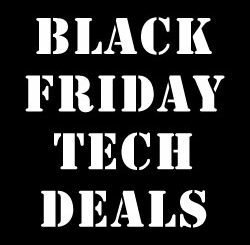 Supported devices include, but are not limited to: Apple iPad / iPod / iPod touch / iPhone (including iPhone 4) media players, Portable DVD Players, All composite video Media Players, Digital Cameras, Camcorders, Cellular phones with video out, and Video Game Systems. 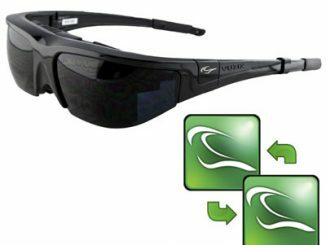 Make traveling and long days a little more bearable by treating yourself to the Vuzix Wrap 310XL Video Eyewear. 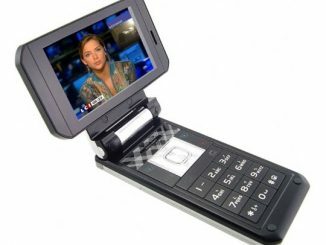 Just slide them on whenever you want to enjoy your favorite videos and movies without the hassle of people looking over your shoulder. 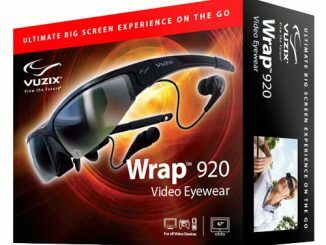 You can learn more and purchase the Vuzix Wrap 310XL Video Eyewear for $199.99 with a 30 day money back guarantee at Vuzix.com. Plug in the EzVision Video Eyewear ($306) to any portable video/movie/DVD player and enjoy the movies in such a way that it seems as though you’re looking at a 50 inch large screen. 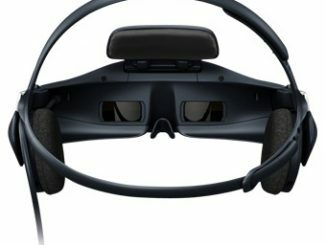 The 68g portable lightweight glasses also features built-in headphones.